David Ralph. Painted on Paradise, 2017. David Ralph reflects on how built environments, cities and dwellings shape human experiences and forge identities. 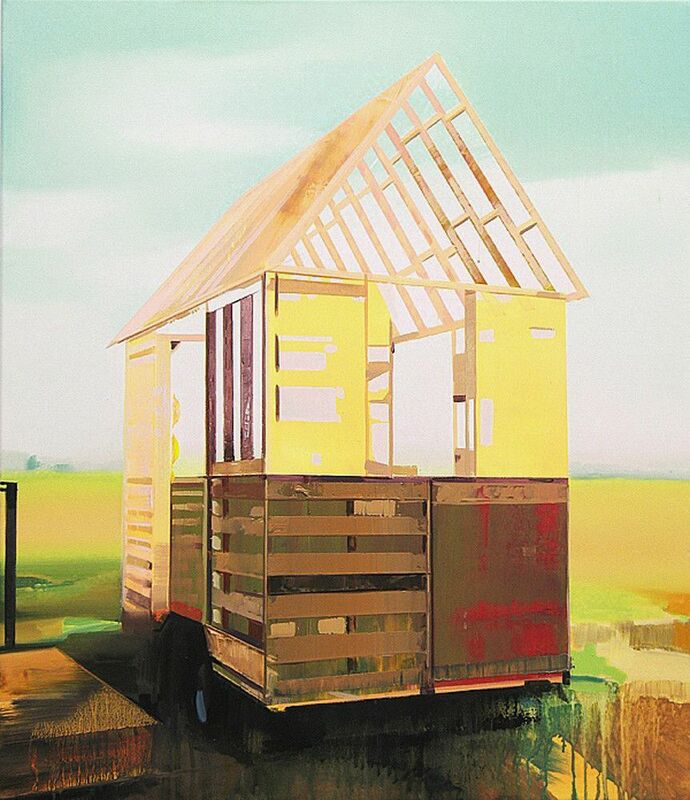 His paintings address the psychology of architectural spaces and what they say about the people who inhabit them. David Ralph reflects on how built environments, cities and dwellings shape human experiences and forge identities. 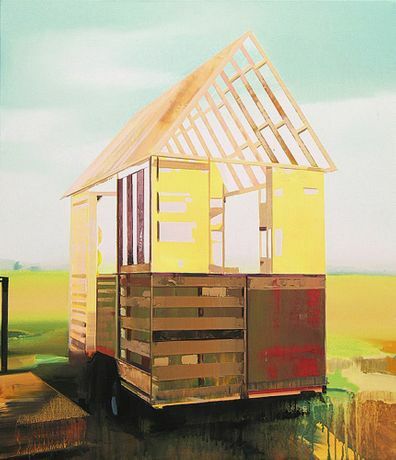 His paintings address the psychology of architectural spaces and what they say about the people who inhabit them. 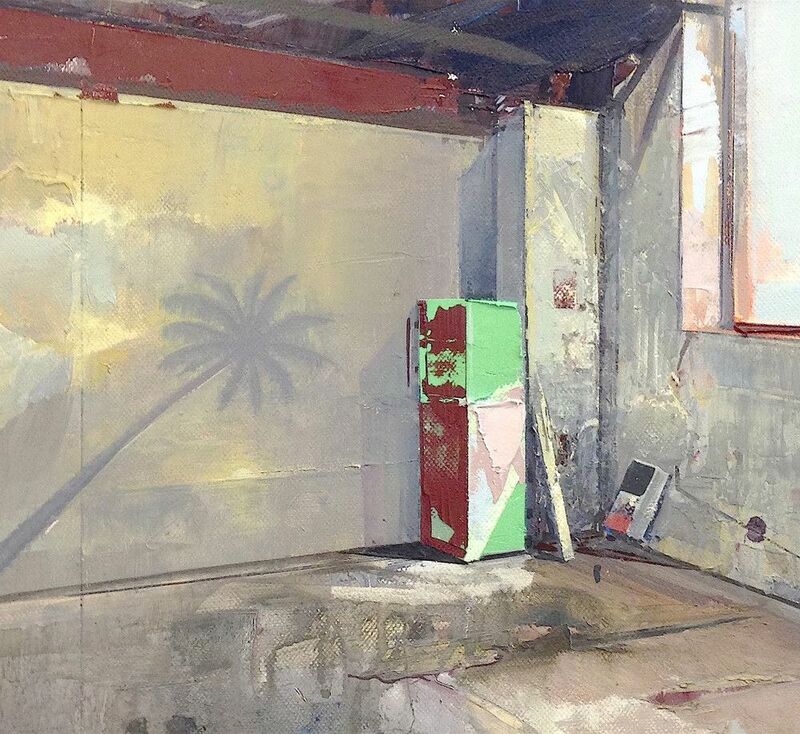 Recent work has looked at the places that artists and musicians colonise and transform. After moving to Leipzig in 2014, Ralph became interested in the derelict buildings that artists choose to reoccupy, as property elsewhere in the western world becomes unaffordable. Ralph finds the ‘theatre of life’ inscribed within the walls of these spaces, and describes his atmospheric, jewel-like paintings as collective portraits of the people who have occupied them over time. This interest has expanded into an examination of historically significant spaces of former creative ferment. Sites such as the CBGB’s club in New York and the Bimbo Bar and Spinnerei complex in Leipzig have been the subjects of recent works. David Ralph is based between Melbourne, Australia and Leipzig, Germany. He holds a Master of Fine Arts from the Victorian College of the Arts in Melbourne and an MA (Fine Art) from the Chelsea College of Art and Design in London. He is currently undertaking his PhD candidature through the Curtin University in Western Australia. Since the early 2000s, Ralph has held solo exhibitions in Melbourne, Sydney and London and featured in curated group exhibitions in Australia, New York, London, Berlin and Paris. He teaches painting at the University of Melbourne Victorian College of the Arts and is a former recipient of an Anne and Gordon Samstag International Visual Arts Scholarship, and in 2013 he was the recipient of the Australia Council, Visual Arts Board skills and arts development grant. These opportunities allowed him to undertake the LIA Leipzig International Art Programme in Germany. He is represented in numerous collections including the National Gallery of Victoria, Artbank, BHP Billiton, the RACV and the Gold Coast City Art Gallery.